Trump’s remarks came the day after the bill, which has bipartisan support, was proposed by its sponsors. 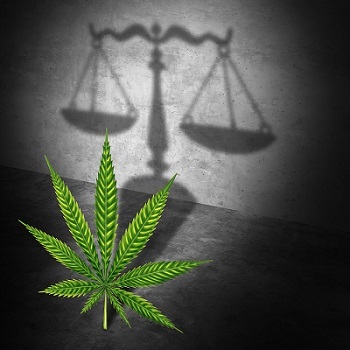 Referred to as the “STATES” Act (Strengthening the Tenth Amendment Through Entrusting States) the bill, which is co-sponsored by Senators Cory Gardner (R-Colorado) and Sen. Elizabeth Warren (D-Mass) would reshape the legal landscape for marijuana if it becomes law. According to the Times article, the legislation would end the threat of Justice Department crackdowns on marijuana growers, producers, and providers who so far have been reluctant to go fully public with their enterprises because of the risk of federal law enforcement seizures of their assets. To the disappointment of fledgling marijuana businesses in states like Massachusetts and Colorado, which have both legalized adult recreational use of marijuana, marijuana production and sales has remained a risky and unstable business because it remains illegal federally. More importantly, potential seizure and forfeiture has inhibited lenders from working with marijuana businesses and caused investors to proceed with great caution. As a result, marijuana businesses have had little choice but to operate on a cash-only basis, an archaic approach which also subjects them to the threat of robbery by those tempted by the large supplies of both marijuana and cash. While it does not specifically legalize marijuana, the bill would give cede authority to the states to address these dilemmas. According to Sen. Gardner, whose home state was one of the first to legalize adult recreational use of marijuana, the time has come to end the inconsistency between state and federal law on the issue. The Times quoted Gardner as saying, “If you are in the marijuana business…you can’t get a bank loan or set up a bank account because of concern over the conflict between state and federal law. We need to fix this. It is time we take this industry out of the shadows–bring these dollars out of the shadows.” Gardner was also quoted as calling the situation “public hypocrisy” in that firms are expected to pay taxes yet are barred from participation in the financial system. Supporters of the bill also believe that lifting the federal prohibition would bolster efforts to create uniform testing and regulatory standards for marijuana, and free scientists to pursue research into the medical uses of marijuana and cannabis products. Trump’s support for the bill could have major effect. Such anti-marijuana sentiment is at odds with what appears to be public support for recreational marijuana use. According to the Times, “public opinion polls show majorities of Democratic and Republican voters nationwide favor legalization” and yet the federal ban remains. Currently, 9 states and Washington D.C. allow adult recreational use of marijuana. Nearly 30 allow its use for medical purposes. Whether President Trump’s seemingly favorable remarks result in his support and the passage of the bill remains to be seen. However, if they signal growing momentum for the Gardner-Warren effort and a softening of federal prohibitions, the marijuana industry may have received its best news in a long time. Great article! This is a really interesting issue but to me it’s a no-brainer that we legalize it. It’s a taxable industry that has already demonstrated serious economic gains for the government in Colorado, which has used the profits to fund educational efforts and other great things like that. And for those who simply don’t like the idea of recreational marijuana I think the best deterrent is solid, enforceable regulation.